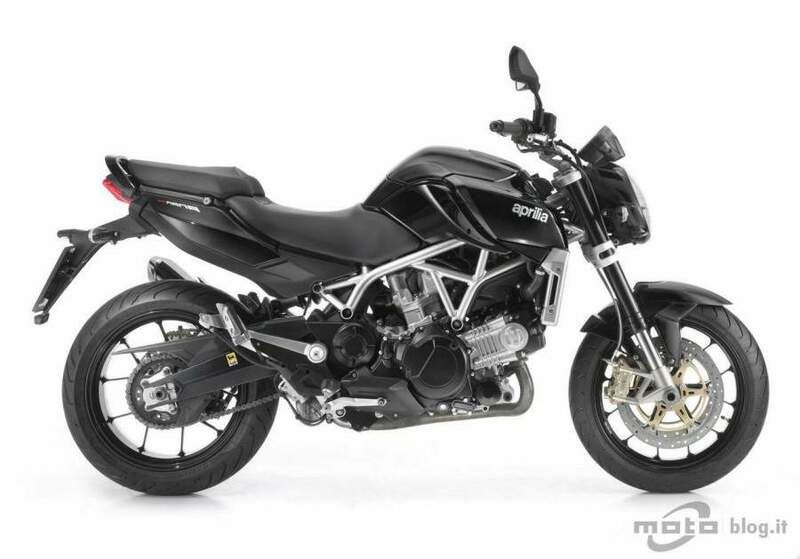 The Aprilia Mana 850 embodies a completely new concept of motorcycling and a brand new way of riding. 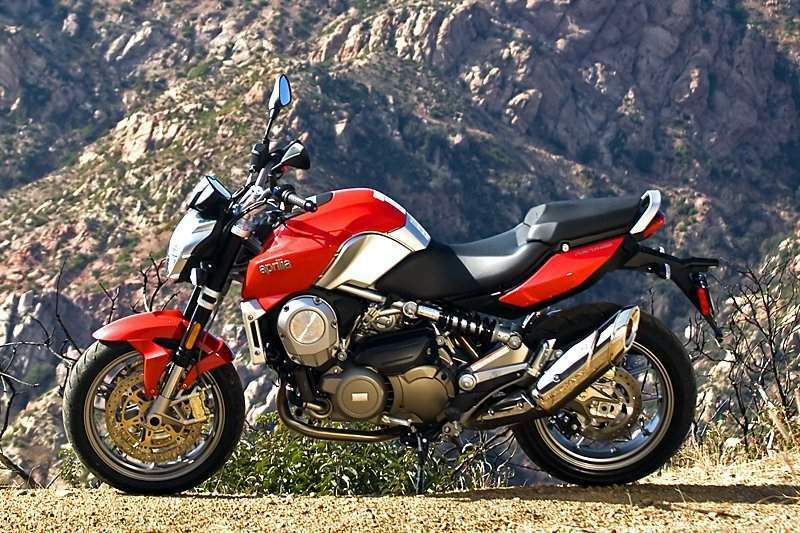 Here is a bike that has surprised the world of motorcycling and typifies Aprilia’s innovative approach to technology. The Mana boasts a sequential/automatic gearbox, radial brakes, a helmet storage compartment, and upside down forks, combining the potential of high performance motorcycle with unrivalled functionality. For maximum active safety under all riding conditions, the Mana is now also available with ABS. The Aprilia MANA is the state of the art in motorcycle technology. Only Aprilia, with its legendary technical skills, would have dared take on a challenge of this entity. 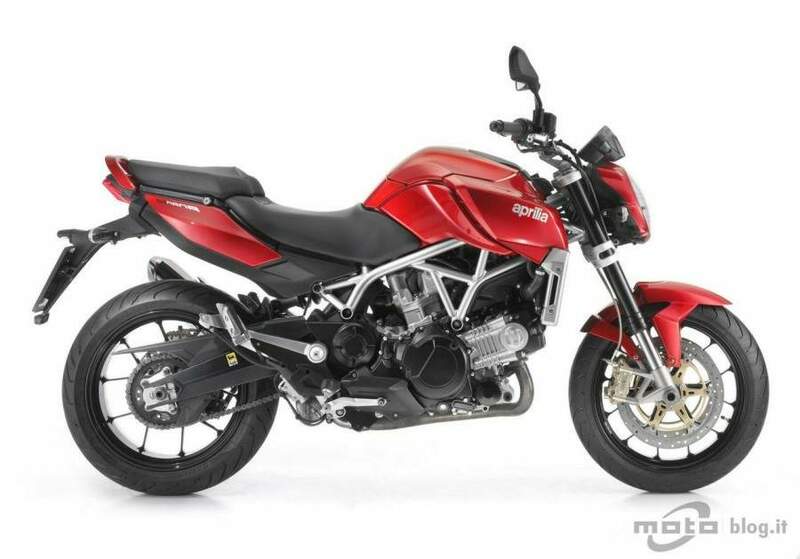 The Aprilia 850 MANA is so advanced and so unique that it simply cannot be compared with any other motorcycle. The Mana takes all the stress from motorcycling while injecting more satisfaction and more fun into riding under all conditions, from commuting to sports touring on the open road. All you need to do to enter a whole new world is press the button on the handlebars. Its revolutionary Sportgear transmission is electronically controlled to deliver unrivalled riding pleasure. So whatever your riding style, and whatever the road conditions, the MANA is the bike you will want to be on. The transmission management system offers a choice of three "Autodrive" mappings plus a manual, seven speed, sequential gearshift, so you can be absolutely certain to find the perfect ratio for any traffic condition and riding preference. Whether you are just nipping across town or blowing away the cobwebs on a winding country road, the APRILIA MANA always delivers the ideal response and the same unique riding satisfaction. Whatever the conditions, and whoever the rider (even the most demanding), the MANA guarantees a perfect, peak-efficiency ride that lets you discover hitherto unknown potential. The MANA's compact, sporty and ecological 90° V twin engine is the perfect partner for this type of transmission. It is compact, powerful and ecological. Pace-setting power and torque mean brilliant performance, especially in acceleration. Virtually no other naked can keep up with a Mana as it pulls away from the lights! Yet the Aprilia 850 MANA is so amazingly easy to ride that blistering performance is well within the reach of any rider. The technology that Aprilia has developed for the 850 MANA is truly 'rider-friendly' and amazingly easy to use. The clutch lever has gone, replaced by an electronic control system that leaves you free to relax and enjoy the ride. The sequential gearshift can even be operated by a simply handlebar control as well as by the classic pedal. As with all Aprilias, accurate design of the chassis guarantees top level handling. The 850 Mana's tubular trellis frame gives the bike impressive strength and torsional rigidity, and a single piece aluminium swingarm and advanced suspension delivers road holding to satisfy even the most demanding sports rider. Top quality brakes add to active safety by ensuring impressively short stopping distances. With its exclusive, unmistakably Italian styling, the 850 MANA embodies the perfect combination of elegance and practicality. As with all Aprilia nakeds, the Mana's high-tech components make an essential contribution to overall design. The 16 litre tank is located under the seat, lower than normal, to distribute weight more evenly and lower the bike's centre of gravity. The "traditional" tank location is occupied instead by an illuminated storage compartment that is lined with non-slip, non-scratch material and big enough to house a full face helmet. The compartment also incorporates mobile phone storage and a 12V power socket. The MANA is the first motorcycle ever to provide fully integrated helmet storage, a unique and immensely practical advantage, especially for urban commuting and short trips. The compartment is opened electrically by a convenient switch on the handlebars. The lid opens under the control of a hydropneumatic damper that prevents accidental opening while the bike is in motion. A manually operated lever under the passenger seat is provided to release the compartment lid in the event of a flat battery. There can be no doubt that the Mana engine has opened new horizons in the world of motorcycling, featuring as it does a twin cylinder layout, electronic fuel injection, bags of torque, and above all a revolutionary transmission system that completely replaces the conventional mechanical gearbox and delivers a whole new motorcycling experience even under sport riding conditions. To develop this amazing new engine, Aprilia has relied on the expertise of the world's top designers and all the skill of its own R&D department. The most interesting aspect of the Mana engine is without a doubt its primary drive system, based on an electronically controlled, sequential transmission that offers the rider a choice of control modes. - Sequential mode: The rider decides for himself when to change gear, either using the conventional pedal or a switch on the handlebars. A servo mechanism shifts the main pulley to change between the seven gear ratios amazingly quickly. During deceleration, if the rider omit to change gear manually, the control system intervenes to change down automatically, preventing engine speed from dropping below the set threshold and providing another valuable aid to active safety. Touring: for minimum consumption and maximum usability. - Semi-Autodrive mode allows the rider only to change down independently. This is particularly useful for overtaking at maximum torque revs or for boosting engine braking when riding down a hill. You can switch from Autodrive to Sequential mode and back at any time, irrespective of riding conditions. The handlebar gearshift control can also be disabled from the dashboard. The 90° V engine, chosen for torque and power delivery, is the perfect match for this type of transmission. Delivering 76 horsepower at the crank and well in excess of 7 kgm of torque (at 5,000 rpm), the engine produces an extremely flat power curve that translates into plenty of ready power even at low revs. The robust steel tube trellis frame sets new standards for this class of machine and ensures top level handling in line with the characteristics of the innovative engine. The single piece aluminium swingarm is damped by a monoshock that is laterally offset to free up space for the exhaust pipe behind the engine and make the motorcycle more compact. The MANA has a wheelbase of only 1,463 mm, extremely short for a naked, even a sports model. The 43 mm upside down fork slides easily and features an optimised setup for excellent performance even under sport riding conditions. 120 mm of front wheel travel lets you tackle all sorts of road surface. Impressive stopping power is delivered by the very best braking technology currently available, developed in-house by Aprilia. Radial calipers with 4 pistons are the state of the art for motorcycle brakes and ensure maximum active safety under all braking conditions. The generous front discs are 320 mm in diameter, the standard size for Aprilia's big bikes, and are complemented by a single 260 mm rear disc. A sophisticated two channel ABS system maximises the Mana ABS's already impressive levels of active and passive safety by preventing wheel lock on slippery surfaces and improving braking performance. Your Mana 850 ABS can become even more versatile, exclusive and unique with the dedicated accessories that Aprilia has designed to satisfy all your needs, from around-town commuting for work or shopping to weekends away and even long journeys. Adjustable windscreen for stylish protection in all weathers, even at high speeds. Generous side cases personalised with the Mana logo, City 35 litre top box with matching paint finish cover and passenger backrest, robust steel luggage rack for an extended carrying capacity and perfect weight distribution. 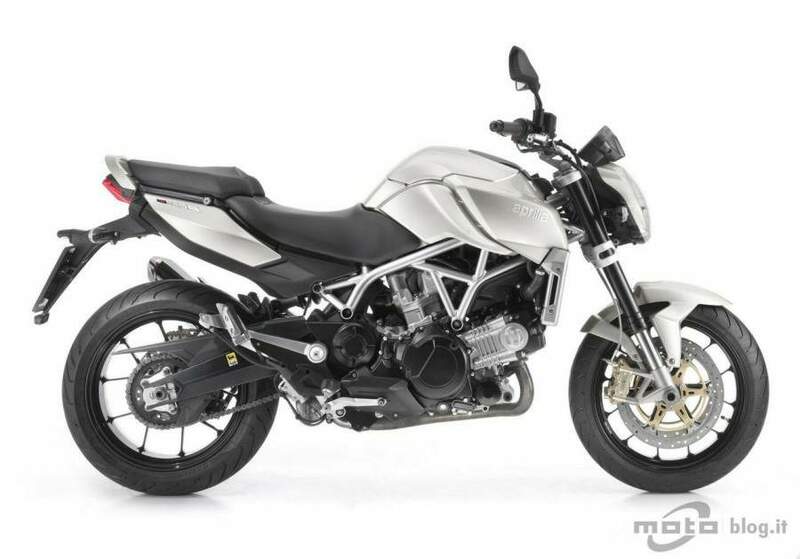 The Aprilia Mana 850 will be a motorcycle of consequence. At least that’s the conclusion I come to while swooping through curves on Southern Californian backroads aboard the Piaggio Group’s pitch for the entry-level/crossover crowd. Corner after corner I dip the bike in, rolling on and off the throttle, no shifts to worry about, no clutch to pull. Sure, the Mana and its unconventional automatic Sportgear transmission could just as easily flop - remembered as an oddity, an unsuccessful offshoot in motorcycle evolution. Yet, whatever its fate, here it is, the Mana, a full-fledged motorcycle flaunting the unofficial rule that twist-and-go simplicity always be relegated to the scooter realm. The naked Mana is a motorcycle plain enough, with obvious chain-drive and a 90-degree V-Twin powerplant on display. Only closer inspection reveals the lack of a clutch lever, made possible by the Sportgear transmission, a CVT design with four separate drive modes. The Mana's Sportgear transmission has four settings - three fully-automatic "Autodrive" and one manual sequential-shift mode.The first three “Autodrive” settings: Sport, Touring and Rain, are fully automatic engine mappings, selected by the rider via right side switchgear button. The fourth setting, a manual sequential shift mode dubbed Sportgear, operates similar to a traditional gearbox. Seven gear ratios are modulated by a traditional pedal or +/- trigger switch on the left-side switchgear. In practical application, the Autodrive settings make a noticeable difference in power delivery. In Sport the engine revs high, with quicker acceleration - at least we felt it revs higher, as the Mana has no tach to gauge the RPM. Rain mode, which unlike the others makes an audible clunk once selected, has a more relaxed throttle delivery for its intended wet-weather application. Touring is a happy medium and preferred default setting. In all three auto modes a rider can manually downshift, for better acceleration on passing maneuvers. But once committed to the mindless application of Autodrive, I found it much simpler to just twist the throttle and go. In fact, the auto setting works so well I found little interest in operating in the Sportgear mode at all. The manual shift mode does a decent job simulating a regular gearbox with seamless upshifts, but I didn’t shift better than the computer – so what’s the point? The entire system, which is electronically controlled, is idiot proof. Even in manual mode the bike will downshift when it needs to and stalling the Mana is impossible. Power delivery from the CVT is linear with smooth throttle response; the differences between the three Autodrive modes are palpable. We managed an indicated mid-110s for top speed and at 75mph there’s plenty extra for quick passes during freeway commutes. Peak power numbers are well-suited to entry-level riders. Dyno stats courtesy of Mickey Cohen Motorsports.The liquid-cooled 839cc Twin may not be the earth-trembling torque monster of its Italian brethren, but sticking the Mana in fourth ‘gear’ it spun the Mickey Cohen Motorsports dyno up to 54 hp and 39 lb/ft torque. While speed junkies will be underwhelmed by the SOHC four-valve Twin’s performance, it is more than adequate for spirited street riding and a playful match for the entry-level/intermediate riders it is marketed toward. Yes, the missing clutch lever took some getting used to, but it didn't take long to get used to the Mana's auto transmission.In general the public reaction to the Mana on our test rides could best be described as curious contempt, with comments like, “that’s that scooter-type thing right?” Skepticism toward the automatic transmission may hover about the Mana, but there’s just not much fault to find in the system. It’s an automatic motorcycle – big deal! The biggest quirk we experienced was acclimatizing to the lack of a clutch. Approaching a corner at high speed it was unnerving to keep instinctively reaching for an invisible lever, but the rider adapts untill... Clutches, shcmutches. Who needs ‘em anyway? One foible of the CVT system is the need for a parking brake, located on the left side of the engine/frame. But even that eccentricity, once accustomed to, became appreciated as a convenience – in particular while parking on a sloped surface. No one will mistake the Mana's handling capabilities with those of a scooter once the road starts getting twisty.The scooter stigma associated with the Mana is shattered in the handling department. There is nothing remotely scooter-ish about it. Sporting a 57.5-inch wheelbase, 24-degree rake and 4.05-inches of trail, the Mana is all motorcycle and a deft handler at that. The center of gravity feels quite low to the ground, with the Mana carrying rear-weight bias of 53.9% - the fuel stored underseat. The steering is quick, yet easy to control, and with a 491-lb tank empty weight, it still transitions side-to-side without trouble (the Mana weighed in at 516 lbs full of fuel). The 43mm front fork is non-adjustable, with preload and rebound adjustment available on the rear shock. The front end felt reliable, with stock fork settings more than adequate for entry-level use - although faster riders will pine for adjustment options. The front brakes on the Mana were more than capable (top). The quirky parking brake (middle) and trigger shifter (bottom) won't be found on any other ride. The dual 320mm front discs brakes overachieved and display considerable initial bite from the radial-mount four-piston calipers. Hard braking before a corner actually exhibited another quirk, as there were a few occasions where my glove stuck on the throttle while pulling the brake. It’s a lazy riding technique, but you’d be surprised how often it would happen as most riders pull in the clutch downshifting while decelerating. It would make sense on the Mana to separate the right side controls, mounting the brake lever on the left handlebar, except that arrangement would be catastrophic when riders mistake it for the traditional clutch - which they undoubtedly would! At 6'1", the Mana felt smallish to me, but not uncomfortable. The riding position is upright and standard, with a pleasant pinch of mild sportiness. Handlebar placement is natural, but taller riders will find leg room on the snug side. Those shorter statured, however, should get along well and not find the 31.4-inch seat height intimidating. Under the pillion seat is the 4.2-gallon fuel tank – good enough for about a 170-mile range with our observed 41.6 MPG efficiency. Oddly enough, there’s not a fuel meter on the Mana – that we could find. A lot of redundant info like real-time MPG and average MPG efficiency is available on the instrument console, but really, what possible advantage can a rider glean from momentary glimpses of fuel efficiency? The white background speedo is best feature on the so-so instrument panel. A convenient commuter or weekend playbike, the Mana is an intriguing option for entry-level or scooter riders looking for a fun ride without stressing over a clutch.We did, however, appreciate the unexpected storage where the traditional fuel tank would reside. Full-face helmet storage is possible, but while one rider’s medium-size Shoei would fit, my large-size modular wouldn’t. Still, the storage space is eminently convenient – boosting its commuter advantages. Style-wise the Mana looks the part of a naked street bike. It would seem Aprilia designers were keen on balancing the unconventional drivetrain with a traditional motorcycle look and feel. At $9899, the Mana MSRP is steep, in particular during these down economic times. Yet it seems like there has to be a market for the Mana, one that has been untapped for years. New riders will enjoy the innovative mount and I’d wager that even skeptical riders would admit grudging respect for the Mana after a day in the saddle. It is a refined package and worthy of a place on American roadways and dealer showrooms.